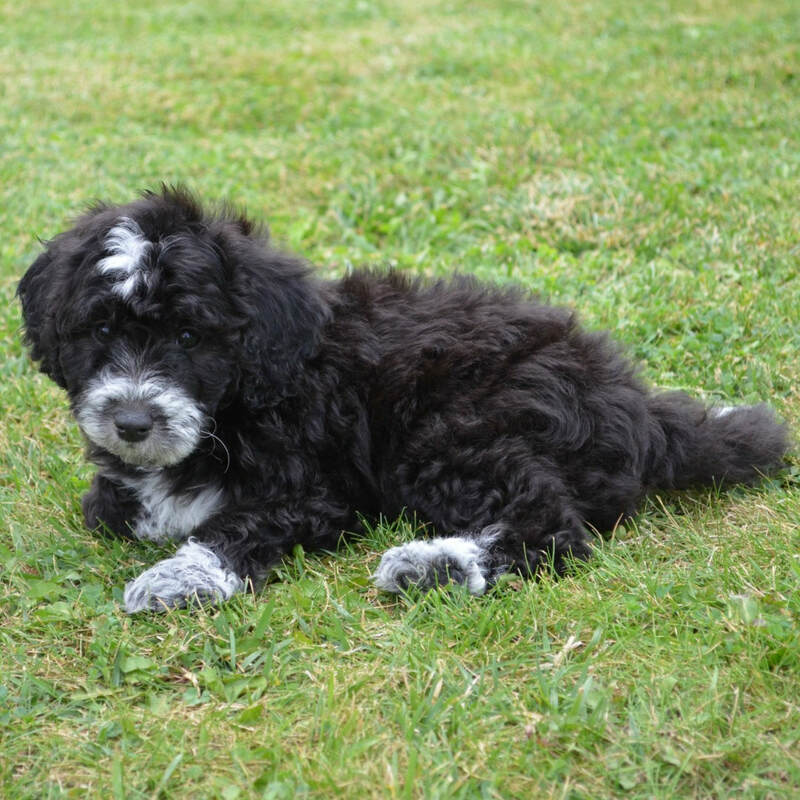 A Newfypoo, also known as a Newdle, is a mix between a Newfoundland and a Poodle. 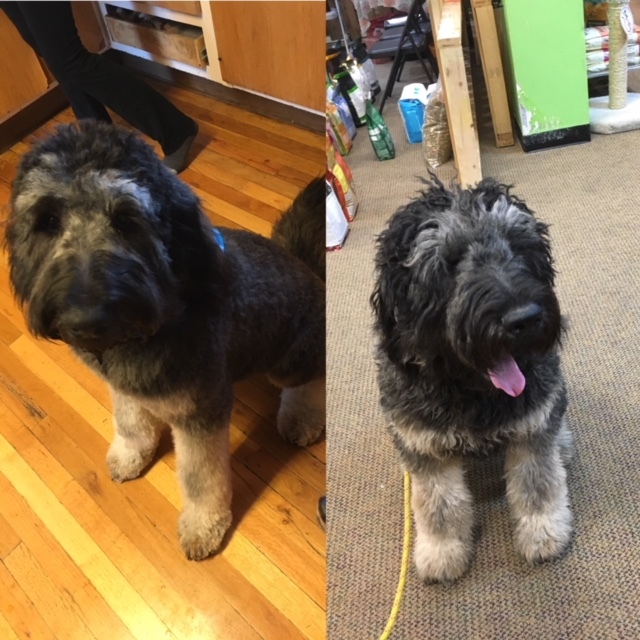 Retaining the non-shedding and intellectual qualities of a poodle combined with the nurturing, "nanny" and rescue qualities of a Newfoundland. With a classic, non-shedding, hypoallergenic coat, they display a very calm, but playful nature and make great family companions. Frequent brushing and quarterly professional grooming is recommended. They exhibit a loving, loyal, alert and friendly demeanor. They are very intelligent as well as quick and agile for their size. They will need daily exercise, but do not seem to be overly energetic. They have a life expectancy of approx 10 – 13 years. Size: We specialize in Mini F1b Newfypoos (F1 Mini Newfypoo x Mini Poodle) weighing from 25-50 pounds and stand approximately 16 – 20 inches tall. We are also planning future breedings for Standard Newfypoos. Coat: Coat is soft, long and wavy. Most common coat colors are brown, black, parti colors and merle. Low to no shedding. ​Many people with allergies prefer Poodle mixes as their fur is more hypoallergenic than most dogs (a characteristic inherited from the Poodle). 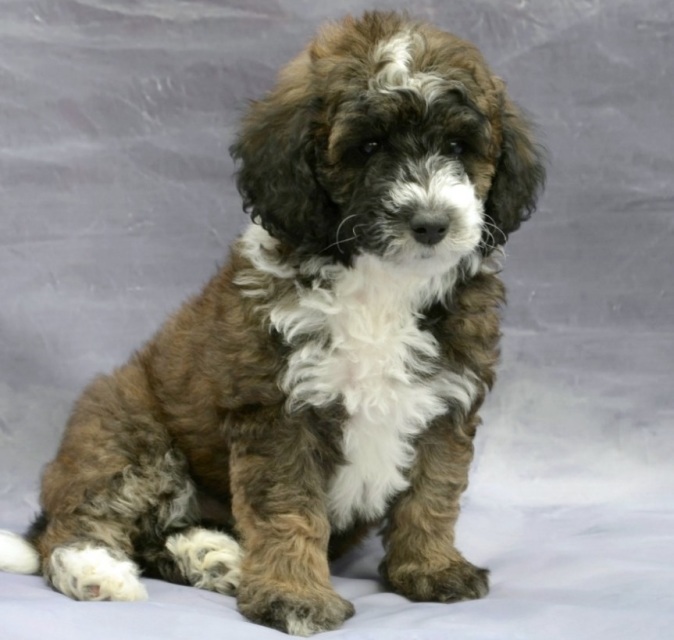 Also Known As: Newfie-Doodle, Newfiedoo, Newfiedoodle, Newfiepoo & Newfydoo. 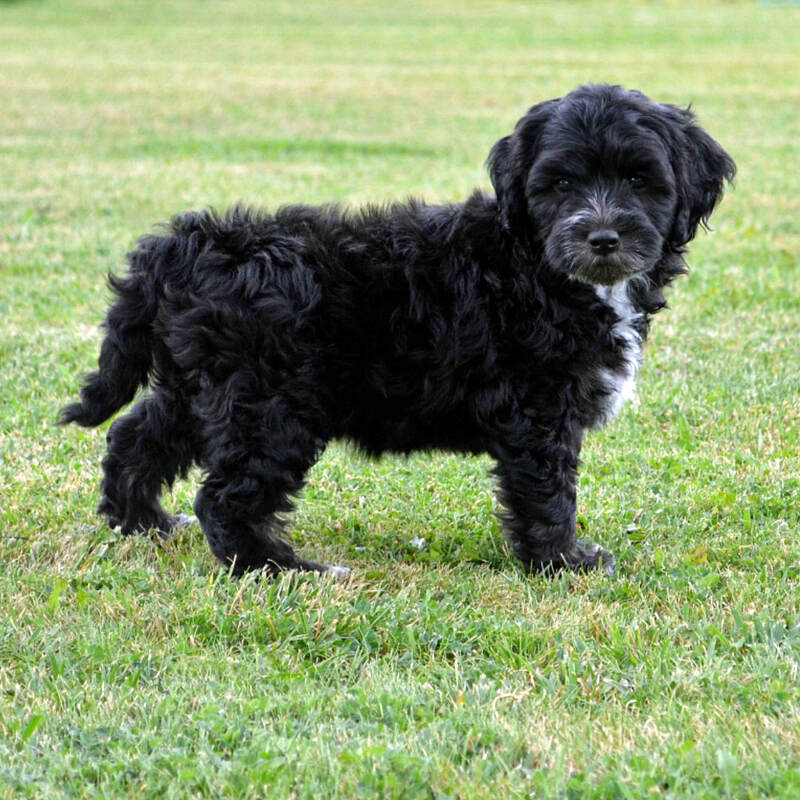 A Mini F1b Newfypoos is a pairing between an F1 Mini Newfypoo (Newfoundland x Mini Poodle) x Mini Poodle. Adult weight is from 25-50 pounds, standing approximately 16 – 20 inches tall. Coat: Coat is soft, long and wavy. Most common coat colors are brown, black, parti colors and merle. Low to no shedding. 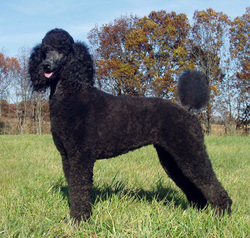 Many people with allergies prefer Poodle mixes as their fur is more hypoallergenic than most dogs (a characteristic inherited from the Poodle). 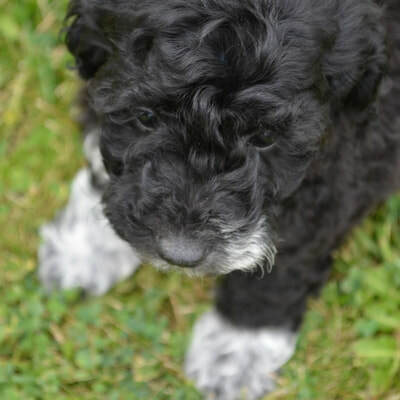 A Standard F1b Newfypoo is a pairing between an F1 Standard Newfypoo (Newfoundland x Standard Poodle) x Standard Poodle. Adult weight is from 50-70 pounds. 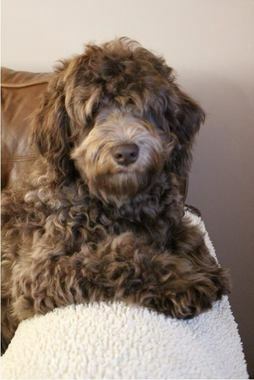 Also Known As: Newfie-Doodle, Newfiedoo, Newfiedoodle, Newfiepoo & Newfydoo. more information, please visit our Newfypoo page. Bow lives with Sandy from (We Nose and Paws) She is a gentle soul that loves everyone she meet. She will produce outstanding puppies. Sandy is our dog trainer for puppy kindergarten. Rain lives with Sandy our dog trainer for puppy kindergarten. Rain is a calm and loving dog that enjoys everyone she meets. She will also produce wonderful puppies for Rocky Mtn. 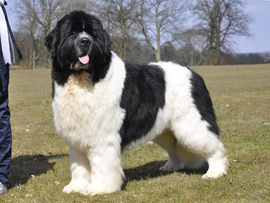 The Newfoundland is known as “the gentle giant” due to its large size, but calm nature. 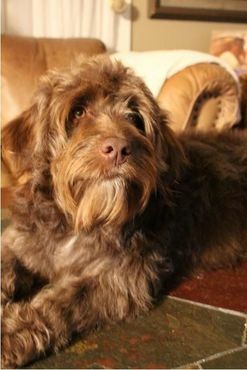 This breed has a caring, gentle, and sweet disposition, and is exceptional with children and other animals making them an ideal family pet. Despite their docile appearance and large size they are still active and will need regular exercise. As phenomenal swimmers they are able to swim very long distances due to their incredible strength and endurance.